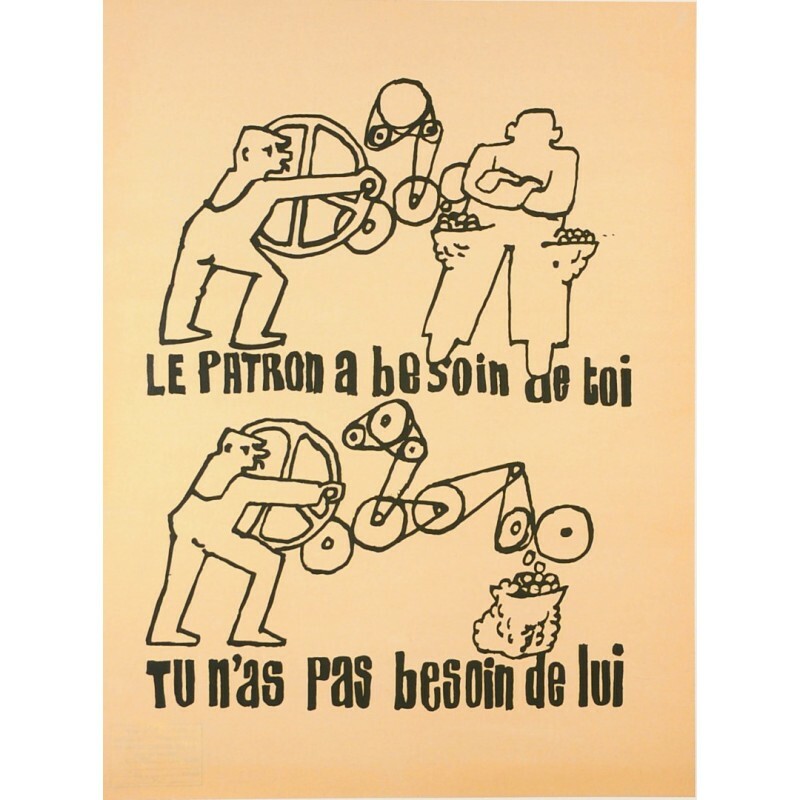 Original Vintage French Student Revolution Poster ”Le Patron” 1968 SOLD !! SKU: 351533 OK - SOLD!!! A self-explanatory poster from the mid-sixties issued by a French labor union. 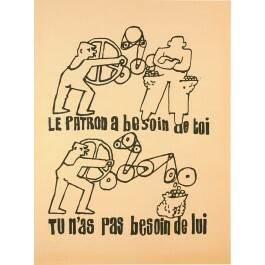 "The boss needs you, you don’t need him! "